Retailers know they need to engage shoppers, unify front-end and back-end systems, and rejuvenate the shopping experience, but the trick is creating a roadmap to make it happen. 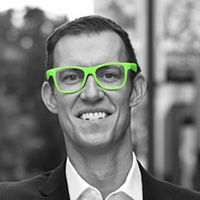 At the 2017 RetailTechCon, Erik Qualman, Entrepreneur, Technology and Digital Media Expert , Professor & Author will present the opening keynote "Connected Retailing: Strategies and Technologies that Innovate, Differentiate and Accelerate." In this session you will gain insight on how specific strategies, tactics and priorities can help you innovate, differentiate and accelerate your organization’s competitive capabilities. Qualman is an international best selling author and motivational speaker. He has spoken in 48 countries and reached 25 million people. His top three topics are: Digital Leadership, Digital Reputation & Ratings, and Disruptive Innovation. His partners include Starbucks, Raytheon, Chase, Sony, National Guard, IBM, Airgas, Disney and over 200 Universities. He is the No. 1 best-selling author of five books on digital leadership and he was voted the 2nd Most Likeable Author in the World behind Harry Potter’s J.K. Rowling. Qualman is a sitting professor at Harvard & MIT’s edX labs.